WhatsApp has helped to reshape the realm of long-distance communication. Utilizing internet connections rather than SMS texting, WhatsApp essentially created a faster, leaner, and easier-to-use emailing service. While the facade of the app makes it appear like text messaging, the actual functionality is no different than an email, facebook post, or skype call. While WhatsApp Web is useful for syncing your messages between mobile and desktop devices, it doesn’t grant you the extent of access and versatility that younity can provide. 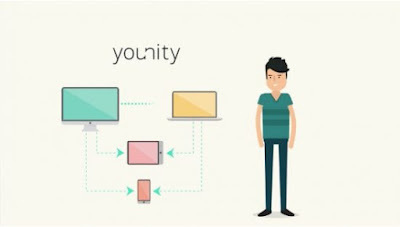 We recommend using younity in conjunction with WhatsApp mobile, WhatsApp Web, and any other messaging apps that you use, such as Facebook messenger, Kik, or Viber. Whoever you decide to connect with can now be treated to spontaneous photo sharing, all thanks to younity!